Gladinet is a free Windows application that makes it easy to view and manipulate files stored in online services like Google Docs, Picasa Web Albums, Windows Live Skydrive and Amazon S3. Instead of using the web interface in a browser, Gladinet mounts a network drive and lets you access the files from remote servers in Windows Explorer. That means you can click on a document stored in Google Docs and it will open in the word processor installed on your computer, for example in Microsoft Word. After you edit the document and save it, Gladinet will upload the new version to Google Docs. Unfortunately, the software doesn't use the latest features of the Google Docs API, so it simply deletes the old version before uploading the document. The integration with Picasa Web is better: you can view thumbnails for your pictures, the files can be edited in Photoshop or any other photo editor and the new versions are instantly uploaded. A local file manager provides a better interface for uploading or deleting a large number of files. 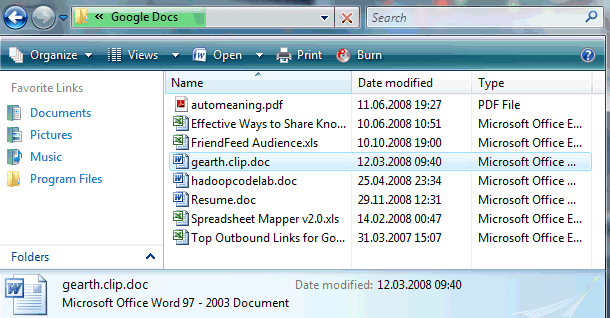 Gladinet offers another feature that lets you share folders with other computers. The main goal is to access all your files from a single interface, no matter where the files are stored. And if you don't have an office suite, Gladinet adds an option to open documents from your computer in web apps like Google Docs or ThinkFree. Note: make sure you trust the service before entering the credentials of your Google account or your Windows Live ID. I prefer Fireuploader, a superb extension for Firefox (last 3.1 beta with Nightly tester tools) which works with Picasa, Google Docs,Box.net (1 Go free) Youtube, Facebook, Flickr and some others. That's the only extension which makes me return sometimes from Chrome to Firefox. "When I hear about Internet Explorer I immediately hit the escape button !" Wow, now that is actually really useful. I might give this a little try, i have a lot of things stored all over the place online... almost too much. Sounds interesting except one aspect. You mention that you need to make sure you trust the service.How exactly can you be sure your Google or Windows Lice credentials will not be compromised? In the stand-alone version, the credentials are stored locally in your user profile, encrypted plus Windows DPAPI (Windows Data Protection). The stand-alone version is more of a shrink-wrap than a service. Take it easy, protect your PC, practice online security and it should be fine. Gladinet is more of a cloud platform technology than online storage service. For example, imaging in the future, your pictures can move freely from Picasa to dropbox to mediafire to Amazon S3, all from your Windows Explorer; one single place; drag and drop. As with all the Adobe Air apps, I'm worried about security; they seem to be very trusting. Every app I've looked at wants universal access to your computer. There are maybe 2 big categories of cloud services, one passive such as online storage (Amazon S3 and etc) and one active (Google Docs, Adobe Air). We just need to know which one to let out of the sandbox of browser and which one to keep inside so we can leverage the browser's security. It doesn't work with Google Apps accounts. Been using www.getdropbox.com for a couple of weeks. Its awesome and free up to 2gb. Live Mesh is also very nice. Syncplicity is also nice. Mozy, Carbonite are all very nice tools to backup local files to online. Gladinet is different. Its a one stop aggregation to all of them. Some are now and some are in the future. 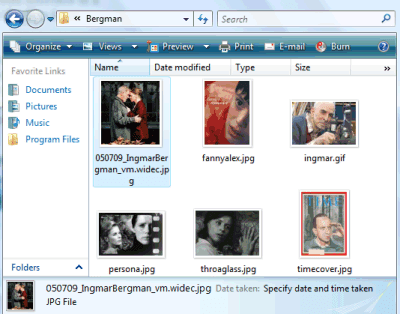 Imaging all your familar storages are all available at once and you can pick and choose. I prefer http://www.MyOtherDrive.com because they mesh together online storage and file sharing so well. They are not just online backup, nor file sharing. Their backup is complete with scheduled unattended operation and AES 128-bit encryption. Their file sharing supports both public and private file sharing - at any folder level to html pages or direct links. I prefer Gdrive (on http://olipo.net, look at the last plugin - called 'Gdrive on Gmail' if I remember well) because all my files are in my Gmail account and I can send them by email (so simple sharing!). It's in beta but it works perfectly for me. I really prefer ZumoDrive (www.zumodrive.com). Very similar to this, but they have clients for more than just Windoz, incuding an iPhone client that works very well. I have installed Gladinet but have to say I am lost for a use for it. With an upload speed of 330k I cannot see any point in uploading files to save as it will take an eternity to upload any quantity of pictures or files. The other thing I worry about with using any of these online storage sites is how long are they going to be there ? I think I will keep to burning them to DVD for now until the technology is there to enable a decent upload speed to make these things viable. I have been using Gladinet for approximately 3 years. I started with the basic free edition and moved on to the Pro, fully paid edition. It is used primarily for documents and the odd large business presentation. No pictures, movies, or anything more than 5mb. Whilst it works fine for smaller files (less than 1mb), the software is severely restricted for files over 1mb. It downloads them two or three times before it manages to open them, it is abysmally slow ( one or two minutes to opening), and sometimes it simply does not open them at all. Numerous email exchanges with the support team later, having gone through debates on internet speed, firewall connections, settings, etc, etc, and having found out they were all ok, the concluding remark is “uninstall and reinstall”!!! Even so, problems persist. The software is basically good but is not designed to handle large files. Interesting comments, Anon. I have been using Gladinet for mirrored backups of all kinds and sizes of files -- including 25 GB of music. I have the app compress and encrypt my files that are backed up to cloud storage services so that I don't have to worry about snooping hackers. BUT repatriating the files is NOT fast (especially since they have to be decompressed and unencrypted. The jury is still out for me.